5 for all of the time. How often did you feel tired out for no good reason? How often did you feel nervous? How often did you feel so nervous that nothing could calm you down? How often did you feel hopeless? How often did you feel restless or fidgety? How often did you feel so restless you could not sit still? How often did you feel depressed? How often did you feel that everything was an effort? How often did you feel so sad that nothing could cheer you up? How often did you feel worthless? Score 2 or above for each question and you have a medium risk of depression. Score 3 or above and you have a high risk. 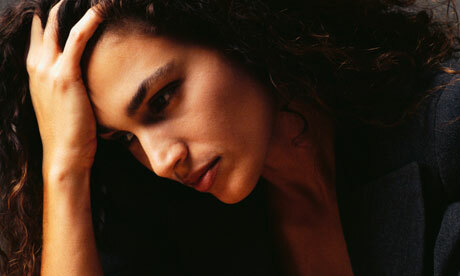 Depression has been called the common cold of emotional illnesses. Everyone gets depressed at times, but some people are depressed nearly all the time. For most it is mild, for some it becomes clinical. This morning I want us to consider some of the spiritual causes for depression and discover from the Scriptures how to overcome it. This is not, however, a substitute for seeking medical. If you scored high on those questions, make an appointment to see your GP this week. Even godly people get depressed sometimes. How to Win over Depression from Stephen Sizer on Vimeo. Elijah was no exception. For three years Elijah had been God’s senior prophet to the entire nation of Israel. God had performed amazing miracles confirming his authority. As a result there was a great spiritual awakening in the nation. “May the gods deal with me, be it ever so severely, if by this time tomorrow I do not make your life like that of one of them” (1 Kings 19:2). She was saying, “If I don’t kill you within 24 hours, I’ll kill myself.” Elijah has been fearless before an entire, suddenly goes to pieces when a woman threatens his life. Elijah was a prime candidate for depression. He was physically tired, he was emotionally exhausted, and someone had threatened his life. He was an emotional fruit basket at this point, with all kinds of problems: fear, resentment, guilt, anger, loneliness, and worry. Elijah became depressed because of one incident too many tipped him over the edge. And you know what? God says that “Elijah was a man just like us.” (James 5:17). So why did Elijah get depressed? Because he played four mental games that all of us are tempted to play. “Elijah was afraid and ran for his life…He came to a broom tree, sat down under it and prayed that he might die. “I have had enough, LORD,” he said. “Take my life; I am no better than my ancestors.” (1 Kings 19:3-4). In effect he said, “Lord, I’ve had enough. I’m fed up. I don’t want to put up with it anymore. I’m just wasting my life. I’m trying to be your voice, but nobody is listening. I’m fed up; it’s no use; I’m giving up.” What was his first mistake? The same mistake we make when we get depressed: We focus on our feelings rather than on the facts. That always happens when we’re depressed. Because he felt like a failure, he assumed he was a failure. This is called emotional reasoning, and it’s destructive. “I feel it, so it must be true.” Musicians, athletes, film stars and even preachers, know that often after a race or a performance or sermon they feel depleted, self conscious, exhausted. Yet they also know that they must ignore those feelings because feelings aren’t always true. A rest, some food or a good sleep and you’ll feel different. Feelings are not facts; they are highly unreliable. When we focus on our feelings rather than on the facts, we’re asking for trouble. Another trap we fall into is by labelling ourselves. Instead of saying, “I made a mistake,” we say, “I’m a total failure.” Instead of saying, “I accidentally tripped,” we say, “I’m an idiot.” Instead of saying, “I ate too much,” we say, “I’m a pig.” When we label ourselves, it only reinforces our problems and makes things worse. There is a difference between failing at something and being a failure. If you want to be depressed, focus on your feelings not the facts. Second mistake Elijah made? We tend to compare our weaknesses with other people’s strengths, forgetting that those people also have weak areas that we might be strong in. And if you want to get even more depressed, use the word ‘should’ a lot. We get depressed by “shoulding” ourselves: “I should be able to be like that person. I should be able to act better. I should be able to accomplish it. I should be able to stop it”. Whipping ourselves verbally is not going to motivate us! Nagging doesn’t work with someone else, and self-criticism doesn’t work either. If you want to be depressed, first focus on your feelings not the facts and second, compare yourself with others. Third mistake? He said, in effect, “I’ve worked hard for three years, but they’re still not any closer to you… they’re still living the same way as before.” In his depression, Elijah blamed himself for failing to change the nation. He took it personally. This is called false blame. If we assume a responsibility that God never intended us to have, it is too heavy a burden. People react in different ways. But you can’t take responsibility for their responses. When you assume responsibility for other people’s decisions, you accept a burden that will only depress you. You can influence people, but you cannot control them. The final decision is theirs. Don’t be depressed by something you cannot control. If you want to be depressed, first focus on your feelings not the facts, then compare yourself with others and thirdly, take the blame for others. Fourth mistake? The fourth mistake Elijah made is that he exaggerated the negative. He said, “I am the only one left, and now they are trying to kill me too.” (1 Kings 19:10). Elijah cried, “Everybody’s against me.” But the fact was not everyone was against him. One person threatened him, and she was only bluffing. Jezebel didn’t dare kill him. True, the queen sent a messenger to threaten Elijah. But if she had really intended to kill Elijah she wouldn’t have sent a messenger to intimidate him; she would have just sent a hit man to take him out! Jezebel recognized his powerful influence. Besides that, she was probably afraid of what God would do to her if she touched his man. So her words were just a threat. She let him escape to the desert to make him look like a coward in front of the nation. But Elijah didn’t stop to evaluate the threat. He just ran away. When we’re depressed, we always exaggerate the negative. Everything looks bad. If we’re depressed, the whole world is against you. In reality, Elijah was not the only person still faithful to God. There were apparently still 7,000 prophets who hadn’t given in to pagan religion (1 Kings 19:18). But Elijah exaggerated the problem, and it made his depression worse. So, four ways, four mental games Elijah played that made his condition worse. He focussed on his feelings not the facts. He compared himself with others. He took the blame for other people and he exaggerated the negatives. Four ways to turn a bad hair day into a serious depression. First, take care of your physical needs. We read that Elijah lay down under a tree and fell asleep. “Then he lay down under the tree and fell asleep.All at once an angel touched him and said, “Get up and eat.” 6 He looked around, and there by his head was a cake of bread baked over hot coals, and a jar of water. He ate and drank and then lay down again. 7 The angel of the LORD came back a second time and touched him and said, “Get up and eat, for the journey is too much for you.” :8 So he got up and ate and drank. Strengthened by that food” (1 Kings 19:5-8). God’s initial remedy for Elijah’s depression was rest, food, and relaxation. Sometimes a good night’s sleep does wonders for your attitude. When you are physically tired and mentally drained, you’re prone to depression. Notice how tenderly God dealt with Elijah. God did not scold him by saying, “You coward! What are you doing here in the desert?” God didn’t put him down or condemn him; all God did was give him food and rest. God got him restored physically. That was the starting point. If you’re depressed, the first step toward recovery is to get in shape physically. Take care of your health needs. Maybe you need to watch your diet or perhaps you need to get more sleep or begin an exercise program. Physical health has a profound influence on your moods. God’s remedy for depression? Take care of your physical needs. He just poured out all his inner feelings. God allowed him to let off steam. God was not shocked by Elijah’s complaints. God says, in effect, “When you’re uptight, let me hear your inner emotions. I already know what they are, and I’m not going to be shocked by them.” He let Elijah vent his pent-up emotions without criticizing him or condemning him. Often it helps to share your feelings with a Christian friend. It’s a catharsis-a cleansing out, a venting, of all the things that have been pushed down inside you and are causing your depression. Notice the six emotions that Elijah felt. He felt resentment “I have had enough” (1 Kings 19:4). He was angry. He complained that he worked hard for nothing (1 Kings 19:10). He felt lonely, “I’m all alone” (1 Kings 19:10). When you combine these emotions – resentment, fear, guilt, anger, loneliness, and worry, you’re asking for depression! Notice, God just let him spill this all out. He said, “Elijah, what’s frustrating you? What’s eating you up?” When you are depressed that’s exactly what you need to do – tell it all to the Lord. God’s remedy for depression? Start by taking care of your physical needs. Second, give your frustrations to God. The Lord made Elijah stand in his presence. After the wind and the earthquake and the fire came a gentle whisper, and when Elijah heard this he put his cloak over his face. God had put on a real show with the wind, earthquake, and fire. He demonstrated his sovereign power but what really got Elijah’s attention was the still, small voice – the gentle whisper. “Go back the way you came, and go to the desert of Damascus. When you get there, here’s what I want you to do.” (1 Kings 19:15) God gave Elijah a new assignment. He put him back to work. He was to anoint some new kings and appoint his successor. The quickest way to defeat depression is to take your eyes off yourself and focus on God’s plan for your life. God has a mission for you. Like Elijah we were born to reproduce – to pass on to others what we are learning about God and his will for our lives. If you’re constantly looking at yourself, you’ll get discouraged. We were made for a mission. The fact is that God knows everything about you. He made you unique and special with a unique combination blend of your temperament, upbringing, experiences, qualities, strengths, talents and gifting. So he’s not disappointed when a cable comes loose or a fuse blows. God knows that you’re human, because he made you and he knows what makes you tick. Let God renew your purpose and give you a new direction. He’s not through with you. You blew it? Big deal! Jesus Christ wants to lift you out of your depression. He can help you; he can change you; he can heal you of depression. You don’t have to go through life being manipulated by your emotions. Your emotions are controlled by your thoughts, and you can choose to change your thoughts. Let God change those harmful misconceptions Elijah displayed. Jesus knew the importance of correct thinking when he said, “You will know the truth, and the truth will set you free.” (John 8:32) The more you know Jesus, the freer you’ll be. This won’t instantly cure your depression, but without Christ in your life you lack the power to change. He wants to be a vital part of your life, and if you let him lead he will help you. Ask him to show you his purpose for your life and find new hope and meaning for living. With God’s help you can win over depression. This entry was posted in Bible, Sermons, Theology on February 9, 2013 by Stephen Sizer.